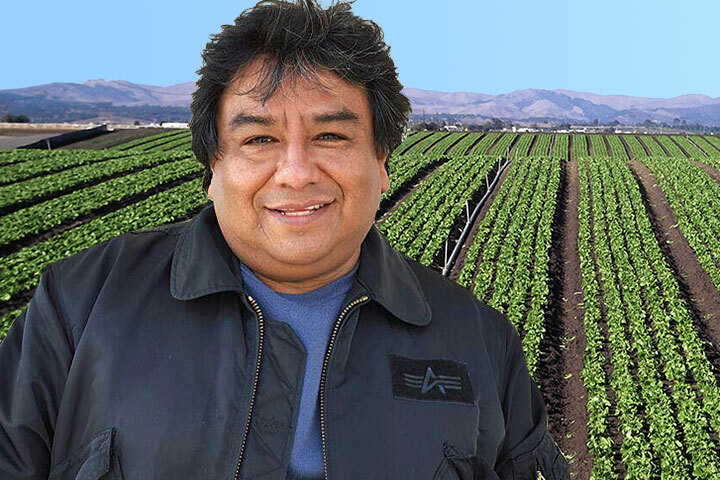 When the school year ends, Cabrillo High School parent Daniel Luna and his family will pack up once again and head where the work is – in the fields near Fresno or Bakersfield to pick grapes, tomatoes, almonds or pistachios. The workday begins at 5 a.m. and soon turns sweltering under the blazing sun. The reward is $8 an hour and continued qualification for the Migrant Education Program offered by the Long Beach Unified School District. The federally funded program provides migrant students and parents supplemental instruction and numerous support services, including physical exams, dental screenings, after-school tutoring and Saturday classes held during the school year at Bobbie Smith Elementary School. Luna, originally from Mexico City, said he deeply appreciates the help that he receives from the program, so he volunteers to help other parents. He joined the Migrant Education Parent Advisory Committee. He was instrumental in planning a highly successful “From Fashion to College” fundraiser, a student fashion show that raised enough money for students to receive 24 scholarships of $500, a sum that can determine whether or not a migrant student buys college textbooks. Migrant Education staff praised Luna’s kind spirit, selflessness, leadership and sense of humor as they nominated him for a Los Angeles County migrant education parent award. His nomination progressed to the state level of competition, where he was selected as the only one in California to advance to the national level. Then he won again. He is the only parent in America who will receive the 2016 Parent Award from the National Association of State Directors of Migrant Education. His eyes welled with tears when he learned of the national honor. Luna and his wife earned their GED high school equivalency certification through the Migrant Education Program in 2014. After long days at work, the husband and wife studied for the GED, a process that brought them closer together. That’s when Luna decided to give back by volunteering. Long Beach’s Migrant Education Program began in 1994 and serves children and young adults whose parents or relatives work in jobs related to fishing, forestry, nurseries, livestock and agriculture. The aim is to prevent the discontinuity in education that can occur when a family relocates repeatedly due to seasonal work. Such families also are at a disadvantage because most live in extreme poverty, and some students must work with their families. Luna will receive his award during the National Migrant Education Conference this Sunday, April 24 in San Diego, where more tears of joy are likely.